I Russell D. Garrett was born January 5, 1955 in Ashland, Missouri. Knows as "Rusty" to my friends, I attended twelve years of school in the South Boone County School system. I worked on my uncle's farm and ranch but the best job I had was working for my father in his construction company. He built homes. I learned a great deal about the construction industry but the most important thing I learned was how to make a living for myself. After a while I moved into the city and worked for 3M. It did not take me long to figure out that this country boy needed space and green grass and I did not like working for the "other fellow", I wanted to be my own boss. As a young man, I always had my own horses and belonged to a local saddle club. My horses were my best friends. I trained them myself and learned to care for them, just as I do now. I did not learn to rope, my family was not into the rodeo scene. I moved to Tucson, AZ with my late wife, Chella McNiece in 1982 and fell in love with the Southwest. We met several "rodeo" people and we got interested in Senior Rodeo, in 1990 we became Sponsors and to this day I have committed myself to this organization. I received my Gold Card and membership in 2000. I met my wife Mary L. Garrett in 1998 at the Hall of Fame Introduction party in Reno, NV and we have been together since the night we met. We wonder what and where we would be today without each other. I have inherited Mary's children and grandchildren, I have never had children before and it is a very different situation being a parent and grandparent. I’m so proud when I am called Papa Rusty.. I feel funny and think "they are really talking to me"... I am Papa Rusty. I am president of Garrett Holding,LLC and PP# Real- Estate Company located in Tucson, AZ. My wife, Mary, is owner and operator of a cattle ranch located in the Blackfeet Reservation in Browning, MT. We work hand and hand together and keep our business out of our daily lives. I believe that is what helps to make our marriage so strong and respectful. We are both passionate individuals about serving our communities and having empathy for children and the elderly individuals who may not be fortunate to have the everyday needs of food, clothing, shelter and health care. We support many organizations and programs for the young and old alike in Arizona and Montana, I’m a believer in giving back; you never know when you may need help in some capacity or another. 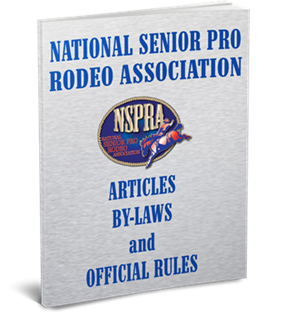 I enjoy the Rodeo Circuit and I support and am also a member of the National Senior Pro Rodeo and the Indian National Finals Rodeo, Youth rodeos, and open Rodeos. We live a very full life. Our hobbies consist of horseback riding for charities, boating and fishing in Montana and we love Arizona sporting teams. Life is full for me and I wouldn’t have it any other way. Enjoy while you can! !